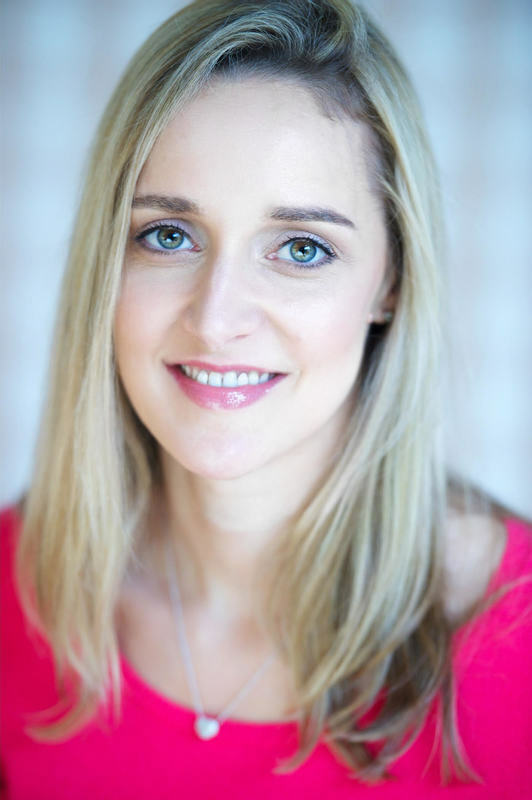 Guest author and internal comms expert Saskia Jones joins the H&H blog with her 6 top tips on how to simplify your internal communications strategy – so you can really make an invaluable impact on your organisation’s goals. Developing or refreshing an internal communications strategy is one of the top five priorities for internal communicators in the year ahead, according to the State of the Sector Gatehouse report 2018. Half of the respondents admitted that they don’t write an annual communication strategy, while 23% say they have no planning elements in place at all. 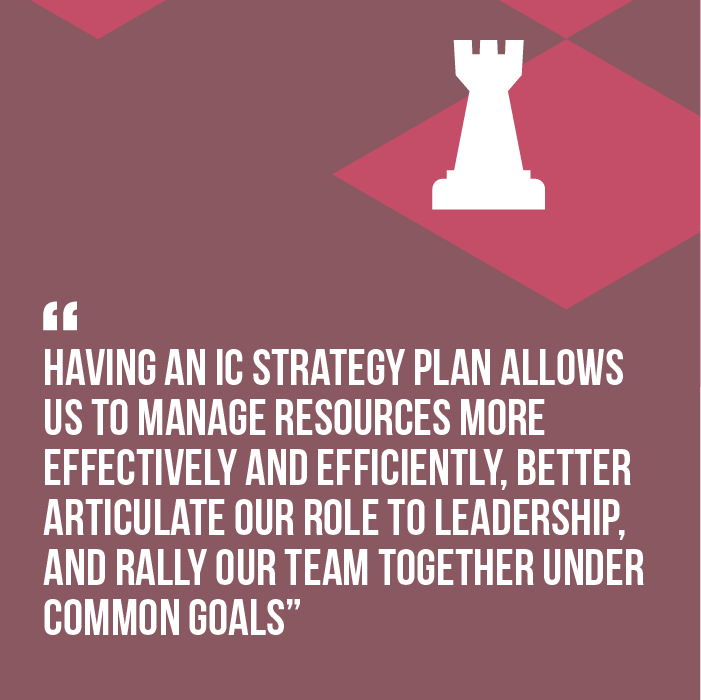 We internal communicators all know the benefits of having a strategy; it allows us to manage resources more effectively and efficiently, better articulate our role to leadership, and rally our team together under common goals. Without a plan, we can’t be sure that we are aligned to the business, and delivering results. So how can we make time to formulate a winning internal comms strategy under the weight of endless other impromptu requests? The focus should be on keeping it simple and manageable. Here are six steps to help you get started! 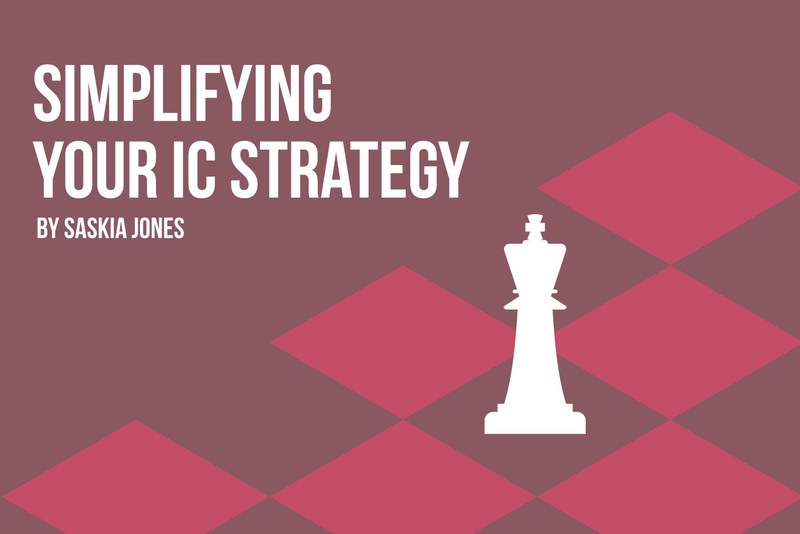 Many internal comms strategies can become complicated and overwhelming by attempting to include everything that IC could potentially add value to. Instead of trying to cram too much in, study your organisation’s goals in depth. Decide on three to five areas that internal communications could contribute to in the next year, and outline them in a one-page summary. 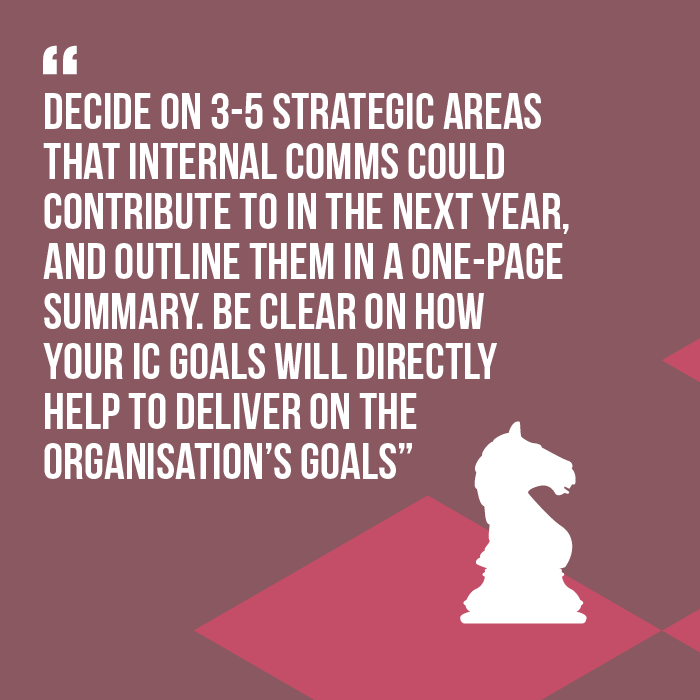 Be clear on how your internal comms goals will directly help to deliver on the organisation’s goals. Your goals should also respond to employee feedback and the results of your last employee engagement survey. Are staff disconnected from the leadership? Are they clear on the organisation’s goals and values? What is the area you most need to focus on in light of this? No part of the organisation should be ignored – you should have an idea of the needs and preferences of employees in different locations and groups. Your internal communications plan should be helping to solve problems, and facilitate change successfully. An internal comms strategy cannot be formed in isolation. To make a difference, we need to work closely with our peers in Marketing, HR, IT and Strategy & Planning. We need to work hand-in-hand together to develop complementary plans – and not be the last in the chain to react to others’ strategies. It goes without saying that your plan needs to be developed with your team. It’s not about completing it behind closed doors and then getting their buy-in afterwards. If it’s foisted upon them, they won’t feel any allegiance with it or desire to help make it happen. Equally, strategies should not be formed by committee. Explain to your team the thinking process behind its creation – including the clear link to business goals, insight from employee feedback, and alignment with other teams’ plans. 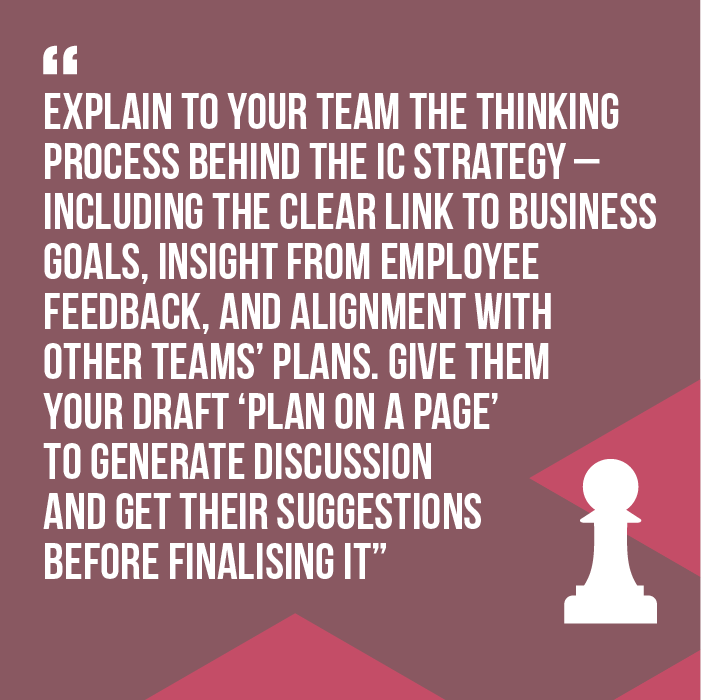 Give them your draft ‘plan on a page’ to generate discussion and get their suggestions before finalising it. Measurement can be done in multiple ways – pulse surveys, feedback forms, quick polls, online analytics and more. Consider how you can include both quantitative and qualitative data. Having a top-level ‘dashboard’ is a great way to keep this on track. Include measurements for each goal, so you can continually review and adapt your tactics in line with results. 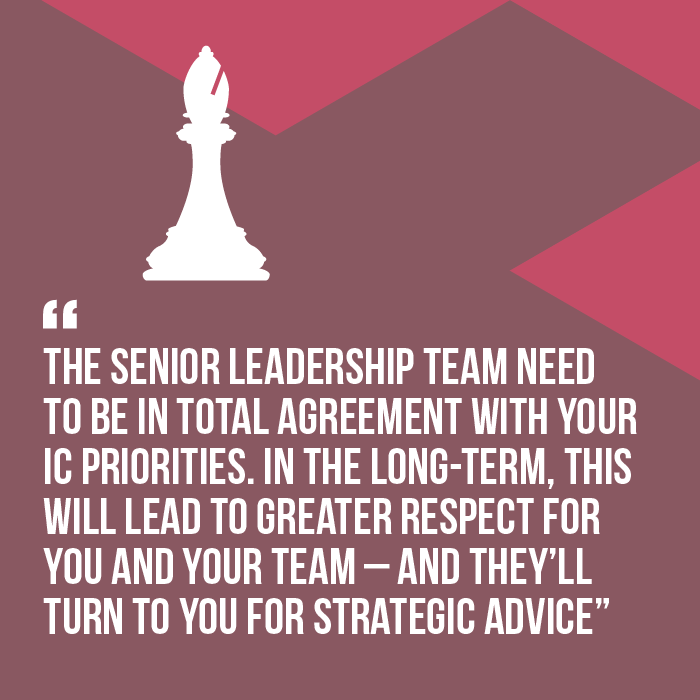 Your internal comms strategy plan should be approved at the highest level. Ultimately, you are helping the CEO and leadership team to communicate with the workforce, and they need to be in total agreement with your internal communications priorities. In the long-term, this will lead to greater respect for you and your team. They won’t just ask you to wordsmith a speech or come up with a newsletter – they’ll turn to you for strategic advice. Once you have your ‘plan on a page’, review it constantly. Keep it ‘live’ by referring to it at every team meeting, alongside your dashboard and content plan. Not only does it help keep everyone on track – it’s a great way to push back on activity that isn’t relevant to your goals, helping to reduce the volume of communication noise that your employees are facing. Creating a comprehensive internal communications strategy isn’t easy to make time for, but it’ll pay off in the end. It’ll help you streamline your communications, become a trusted advisor to the leadership, and contribute to the organisation’s goals. All in six simple steps! Want some hard data to back up your internal comms strategy? Our comprehensive IC Field Guides are packed to the brim with bite-sized facts, stats and figures on every aspect of the industry, from what makes an engaged employee to how you should really be communicating change in your organisation. Download your copies here and get all the latest, must-know industry data right at your fingertips. 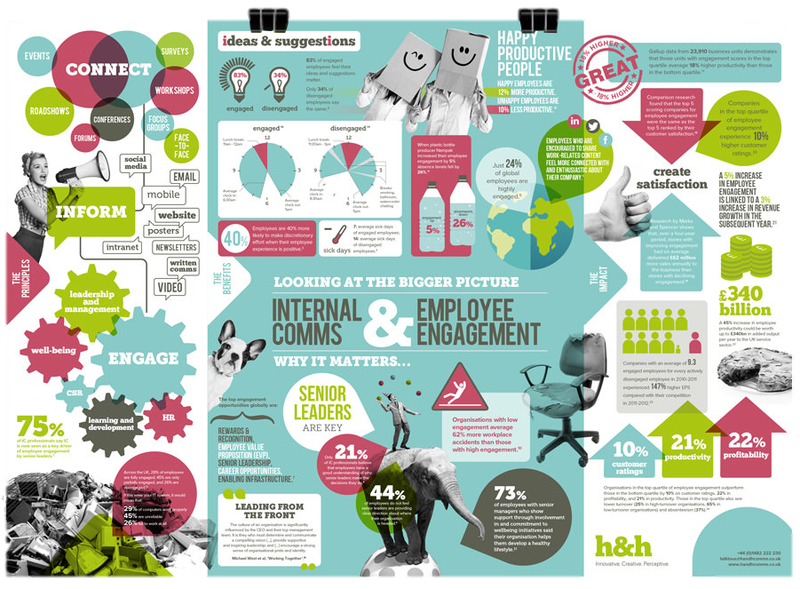 Got an internal comms/employee engagement idea of your own you’d like to share? If you’re an internal comms/employee engagement expert and you’d like to feature on our blog, get in touch and our Michael will pick up your request!